Memorial Day is one week away. How did that happen? When did that happen? I have no recollection of the month of May, seriously. Does this mean I’m getting old? With the upcoming holiday comes plenty of BBQs, parties, parades, and family hangouts. I particularly relish the thought of languishing outside with a tart, refreshing beverage in my hand, breathing in the smells of BBQ chicken, burgers, and sunshine. 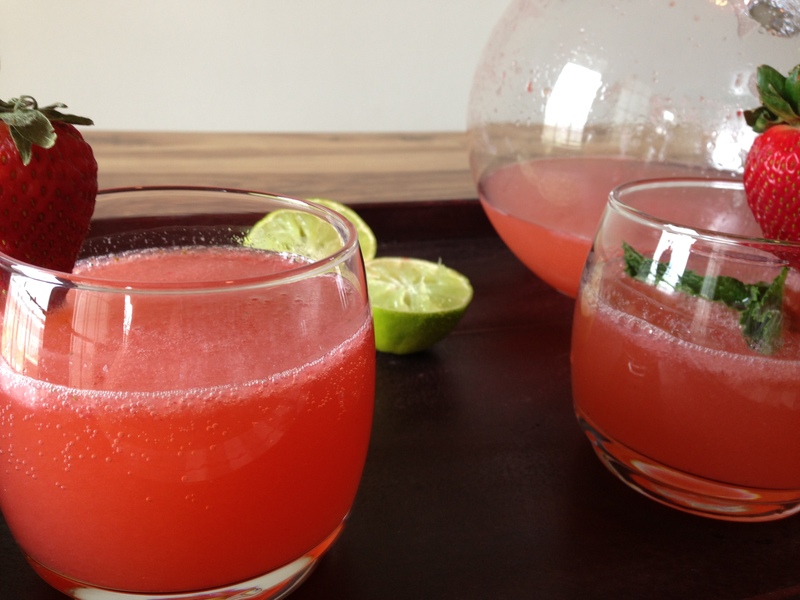 Because really – what better way to celebrate than with a tart yet refreshing beverage? 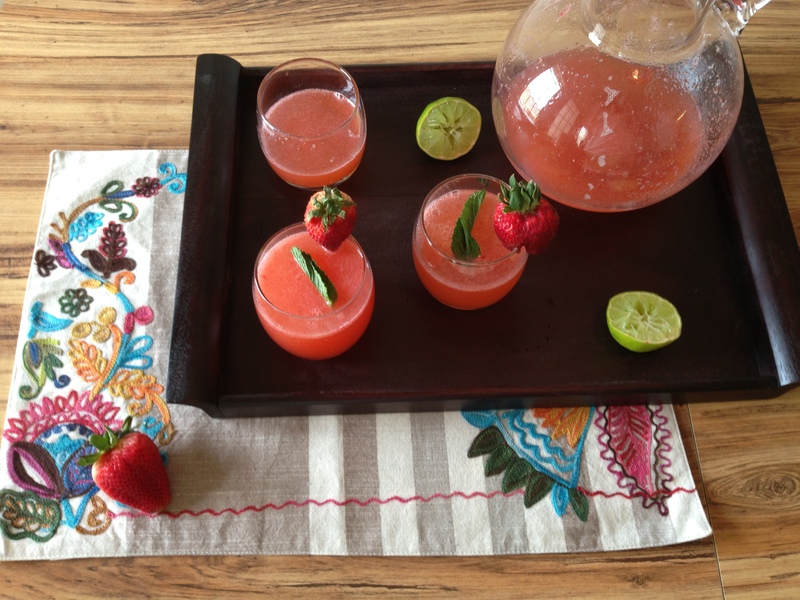 I give you my weekend masterpiece: strawberry lime mocktails. Ok, so maybe they weren’t so much a masterpiece as they were the result of me staring at the quart of strawberries in my fridge thinking, “what can I do with those?” Yeah. It was more like that. But hey, masterpiece works just as well! I don’t drink soda or juice…or anything other than water, coffee, and the occasional alcoholic beverage (beer or wine only, I don’t really do mixed drink much anymore), so these were quite the indulgence for me. I kept mine on the tart side, with no added sugar, but you could easily adapt this recipe to fit your personal taste — sprinkle the strawberries with sugar, add more or less lime juice, etc etc. And aside from having to lug my blender out from the pantry, they were super simple to make. These would be the perfect accompaniment to spicy BBQ, sweet and savory broccoli salad or cole slaw, veggies, and any other Memorial Day Picnic fare. Better yet, grab an innertube and sip of one of these while you float around in the pool. Know what else you could do? Add a little vodka or rum and make it a real party! 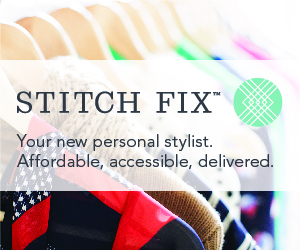 And now if you’ll excuse me…I’m off to buy a bathing suit. serves 4-6, depending on your thirst! 4. 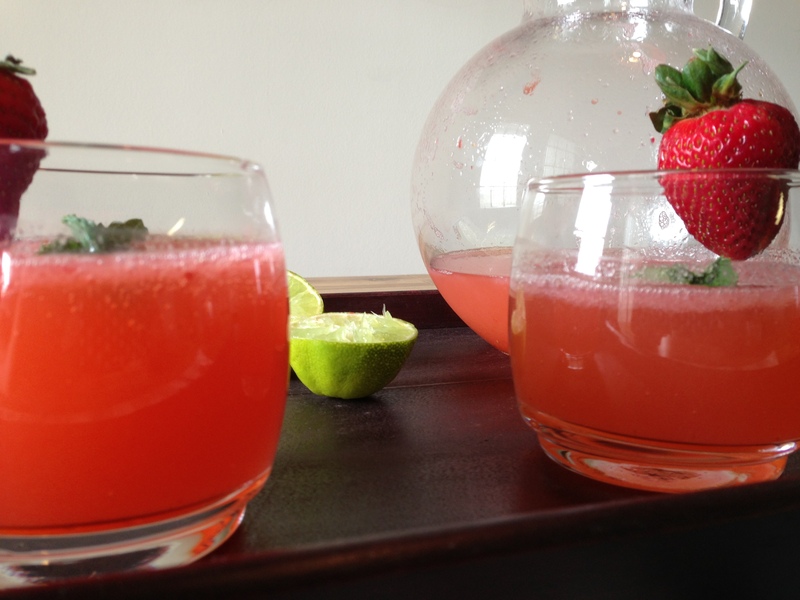 Add your remaining strawberry-lime liquid to the seltzer water and stir to combine. 5. 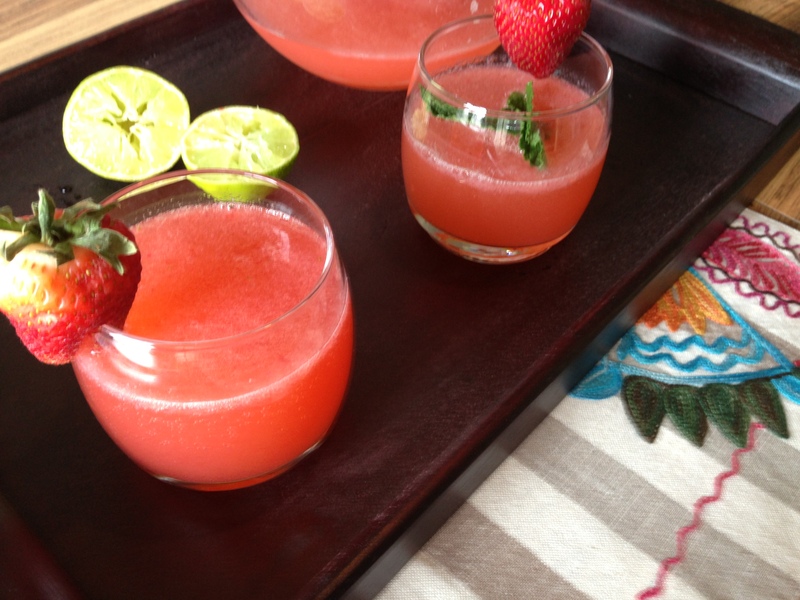 Garnish with strawberries, lime slices, and/or mint. 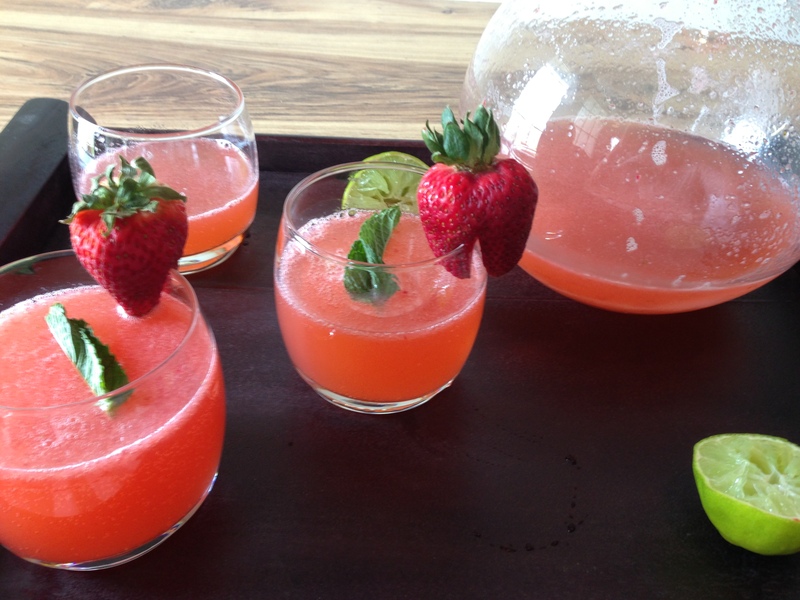 Posted on 20 May 2013 20 May 2013 by BeePosted in BeveragesTagged alcohol, beverages, holidays, strawberries.